What are the Symptoms and Complications of Conjunctivitis? Observation is the best possible way to stay fit and healthy. 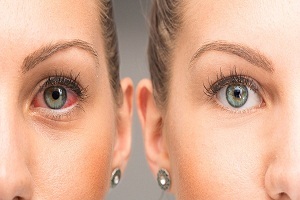 People usually think of early signs of conjunctivitis as a normal eye irritation and ignore it. 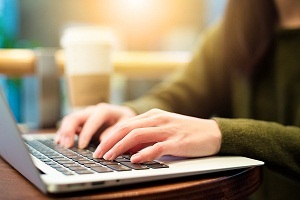 Their negligence can result in adverse consequences and may result in eye damage. Therefore, it is very important for people to understand the symptoms and consult the doctor as soon as possible to avoid any complications. There are three protective layers that cover and protect brain and spinal cord called meninges. An infection in these membranes is referred to as meningitis. Pink eye infection may help in causing or worsening meningitis. Cellulitis is a type of infection caused in deep skin and tissues which results in the occurrence of inflammation and redness on the skin surface. If this condition is not treated in time, it may result in a very serious complication. 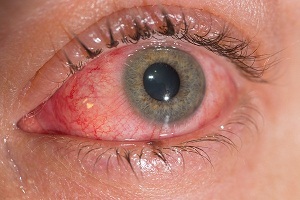 One of the main causes of cellulitis is conjunctivitis. Doctors usually prescribe antibiotics to treat cellulitis. Septicaemia is commonly known as blood poisoning. Septicaemia occurs when bacteria enter the blood and starts infecting various tissues and organs in the body. It can also be caused due to pink eye infection. Otitis media is a type of ear infection that occurs for a short duration of time. It usually occurs in small children who are more prone to conjunctivitis caused by Haemophilus influenza bacteria. 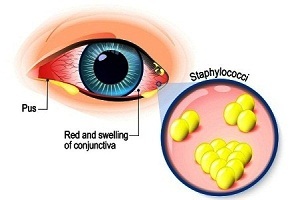 The complications of conjunctivitis depend upon the severity of the infection. If not treated in time, these complications can become life threatening. It is always advisable to observe the symptoms as early as possible and consult the doctor for the best treatment option. Prevention and Treatment of. . . . Eye Drops for Conjunctivitis (Pink. . . . 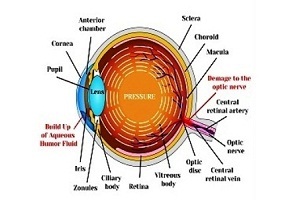 The Retina of Human Eye: Definition, Function, Anatomy Retina Definition The retina of human eye is the sensory membrane that lines the inner surface of the back of the eyeball. 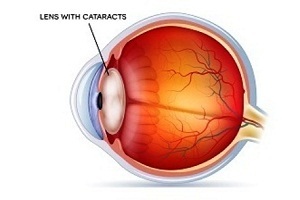 It contains several layers, including a layer that. . . .
Cataract: Symptoms and Diagnosis Cataract is an eye disease which does not usually cause severe eye complications other than its typical symptoms that appear as a result of this disease. 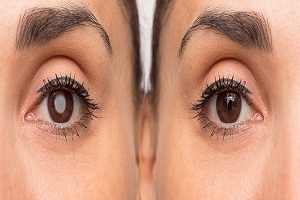 Cataract usually. . . .
Signs and Symptoms of Glaucoma Glaucoma is a disease which is caused by an increase in the eye pressure which progressively damages the optic nerve of the eyes. The disease leads to vision loss which. . . .
Blue-Yellow Color Blindness or Blue-Green Color Blindness Knowing about Colorblindness Abnormal photo-pigments are known to cause genetic or inherited color blindness. 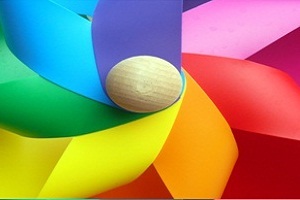 These photo-pigments are color-detecting molecules which are located. . . .
How is Myopia (Nearsightedness) Diagnosed? 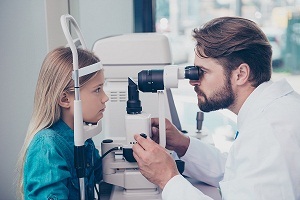 Diagnosis of Nearsightedness (Myopia) Myopia is easily detected and diagnosed in an eye examination by an ophthalmologist. 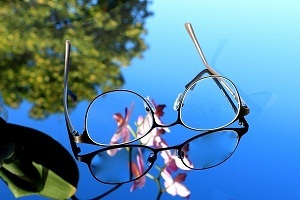 The diagnosis of myopia or nearsightedness. . . .
What is a Cataract? 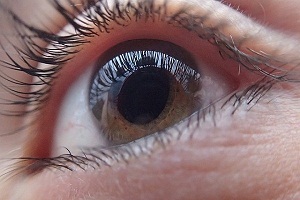 Overview of cataract Human eye is precious! Without them no one is able to see this beautiful world. 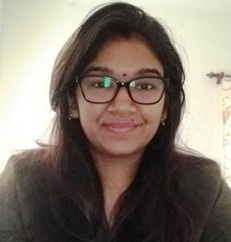 Our eyes have natural lens which is the clear part of the eye.. . . .
Low Vision Glasses for Stargardt Disease and Other Forms of Macular Degeneration What are low vision optical devices (low vision glasses)? Low vision optical devices include such as magnifiers, strong magnifying reading glasses, and wearing glasses or lenses. . . . 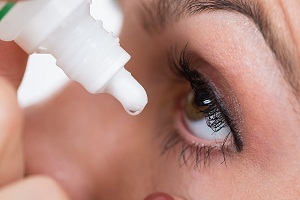 Causes of Dry Eye Syndrome When you’re happy, your eyes are still full of tears. These tears provide lubrication to maintain health of your eyes and keep you comfortable. When you have. . . .